Steve Stones At FanCon Event At Southwest Branch Library In Roy – June 2nd, 2018. 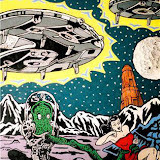 Steve Stones will be set up with a booth of his art for sale at the annual FanCon Event at the Southwest Branch Library in Roy, Utah – Saturday June 2nd from 11am – 3pm. Please join us for this fun event. Wear a costume of your favorite comic, movie hero or villain for a costume contest during the event. Food trucks will be in attendance outside the library. We hope to see you there. Steve Stones Art would like to wish all of the 2014 GOAL Marathon candidates a good run today! 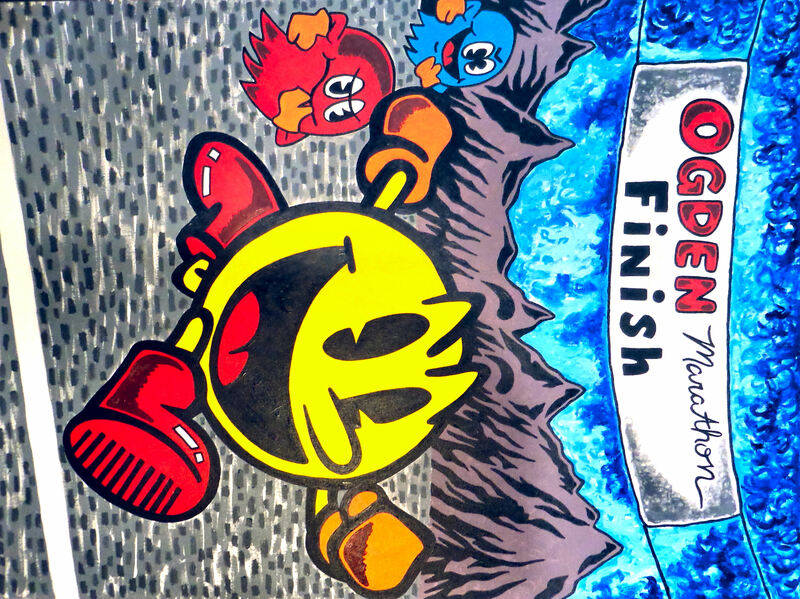 Steve Stones’ entry entitled Pac-Man Marathon Runner took first place for the G.O.A.L. Foundation‘s art contest, which was held in relation to the upcoming 2014 Ogden Marathon. The winners were awarded various prizes during a luncheon at the new Only In Ogden Store and Gallery, located on Washington Boulevard on November 1. Cara Koomles came away with the coveted Best of Show for her amazing watercolor piece, and won the grand prize of $500. All contestants have the option of displaying their pieces during the 2014 Ogden Marathon. Steve Stones at the Bountiful/ Davis Summerfest! Kentucky Fried Satan is a parody created by Steve Stones.